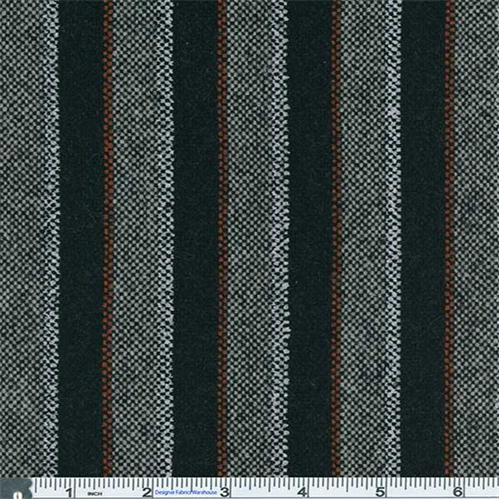 Poly Wool Blend Fancy Stripe Suiting Fabric By the Yard, Black Multi. Midweight oxford weave stripe with a bit of chenille accent yarn. Warm, somewhat firm handfeel, not drapey. Suitable for cool weather skirts, overshirts, and suiting jackets - use with a lining for more polished tailored garments.